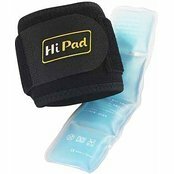 Which Wrist Ice Pack is Best for You? With so many ice packs and cold wraps being sold online, it's easy to get lost searching for the best product. Websites such as eBay and Amazon offer thousands of products, all of which make wild claims and ludicrous offers. 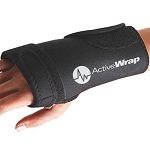 So, which is the best product for your injured wrist? Below, a list of our reviews and tests of the products we found for wrist injuries and the real ratings we think they should get. The wraps offered by King Brand have the best performance, quality and treatment by far. This 'ColdCure' Wrist Wrap is made from a very comfortable, neoprene fabric and offers complete coverage for every type of wrist injury. It comes with multiple gel packs for a non-stop cold therapy treatment and each of the gels had exceptional cold capacity. The wrap itself is made from high quality materials and didn't feel like a burden to wear. Having the thumb piece not pre-defined gave the option to wear the wrap on your left or right hand, as well as change the focus on cold treatments if necessary. Lots of cold can be applied to the wrist and then you can change it to focus in the palm of your hand or the top of the hand if that's where you need it to be. It was hard finding any flaws with this product and the King Brand Wrap was well deserving of our first place award. Long velcro straps make it easy to say that one size will fit all, but on smaller wrists this in turn makes the wrap very bulky. 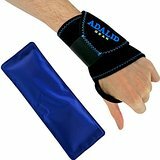 Very thin gel packs makes it comfortable for people with sore wrists, but does not have the longevity necessary for a full cold therapy treatment. The gel once warm slides around quite easily, so massaging the gel back in place is necessary every once in a while. The price seems a little high for having just one gel pack, but if you're looking for a bargain, it's not a bad place to start. When ordering this product off Amazon, and an issue arises with their product, they take no responsibility and simply dismiss the issue with ‘talk to Amazon, they sold it to you’. This was the main complaint. A company that doesn't stand behind their products. 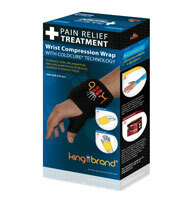 This wrap works for both hot and cold therapy which is nice, but making a dual purpose gel pack comes with a price. Small quality sacrifices need to be made in order to handle both cold and warming capabilities. Following the instructions on the box for warming the wrap has proven to be difficult with some Amazon customers, who have reported that their gel packs have exploded. The stitching on the wrap is very cheap, so please handle with care. The reason this gets three stars is because of the gel: it cools very efficiently in the freezer. I don&apos;t quite understand how it&apos;s possible, but this wrap WILL give you freezer burn. It somehow super-freezes leaving you to wrap a cloth around the gel to make it tolerable for the skin. The cloth works as a protective barrier from the sharp edges on the gel pack making this wrap extremely bulky to wear. The wrap itself is itchy when wearing directly on the skin. Having a wrap that is designed for multiple body parts makes the targeted treatment therapy very tricky to achieve. Make sure to keep treatments with this product to 20 minutes max. It gets very cold and poses a huge risk of frost bite. Definitely only use this product over clothing or some sort of fabric. This doesn't seem to be the most well constructed product either. The tubing for the air compression kept coming off. The wrap is huge considering it's designed for the wrist. I guess it's nice for people who also have issues further down their forearm, but petite people will probably not be happy with the fit. 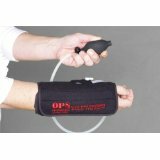 Too big and bulky to do treatments while using your hand or wrist for anything. If you are using this product for heating, be very careful. First of all, the pack may explode in the mircrowave when you follow the instructions. Also, it's very easy to overheat it and end up burning yourself! People with smaller wrists are not going to like the fit of this product. It's extremely bulky and cumbersome, making it uncomfortable to wear for longer periods of time. Heating it up and freezing it is very hard on the pack as it only comes with one. Would be better if it came with multiple packs. While many hot and cold therapy products come with a subtle smell, this one was overwhelmingly strong. The smell of chemicals does not seem to go away with this wrap, even after many uses. Finally, the cold does not last long, which was expected for a product in this price range. While this wrap is one of the more affordable options available, there are definitely safer and more effective products out there. 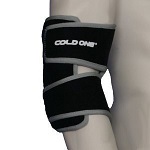 For a company that specializes in cold therapy, there seems to be no details on what this product is, what it does, and not too many reviews on performance. Sparking the interest with this product, it was found to have many flaws, but a more viable option than most out there. This was targeted for one body part, therefore the coverage was good. The cold packs seemed to be bulky along with the wrap itself making it uncomfortable to keep on. When I went to research their site I could not find it, and the Amazon listing is very well hidden too. A few improvments on the product, and I see this company doing quite well. The low price may be attractive, but you definitely get what you pay for with this one. Considering that the name of the product contains the word "reusable" you would think that this product would at least last through a week of regular use, however, it did not. The thin, watery gel pack and poorly constructed wrap only lasted through 5 days of regular use before they had to be trashed. While it was still intact, the gel pack didn't stay cold through a 20 minute treatment, so it offered very little relief. Overall, you would be much better off paying a little more for a half-decent product that actually stands up to regular use and stays cold for the duration of a 20 minute treatment.